Easter is always a bit of an event at Lush and you’ve still got a few days to buy up the Easter goodies on offer this year. Pictured up above are two of the offerings. First is the gorgeous Fluffy Egg (£2.95). 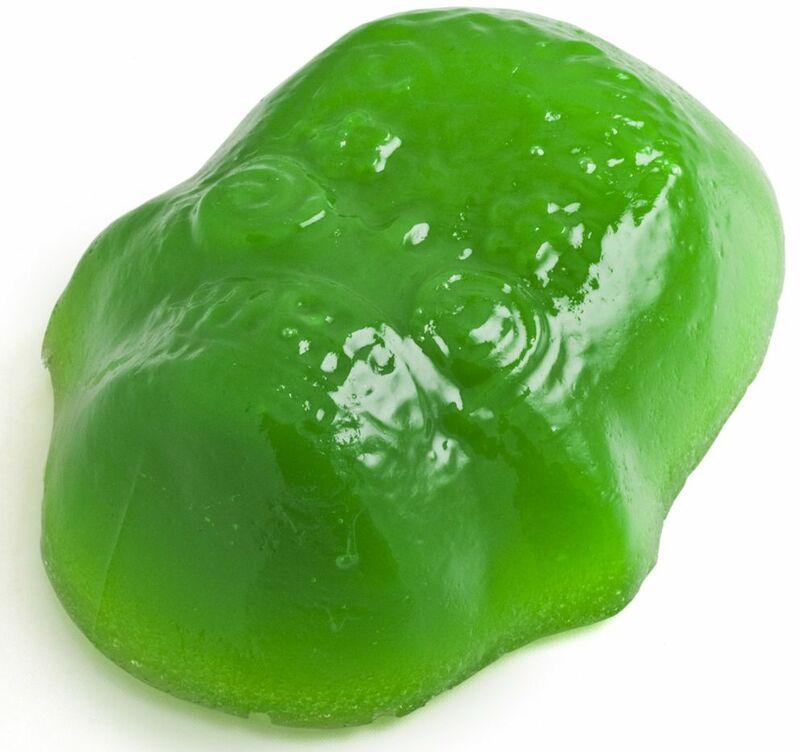 A now well known lush scent, it’s sweet as candy and always extremely popular. The egg itself is kind of cute (not that my picture shows this) and has a lovely little candy flower embedded in this. The Candy Fluff scent is a love it or hate it kind of a smell and I love it… unfortunately so do my kids and my husband. This has not yet been used until we can reach a decision as to who deserves it most. Then next to the Fluffy egg is the amazing Henata (£4.50). It’s a chicken, based on the pinata, so when you crack this open you’ll find a mini ballistic egg and soap paper flowers. It smells divine, like fizzy orange pop, it’s full of mandarin and tangerine oil amongst other things and its a lovely bright scent. Again, we’re a family in dispute over this little beauty. It’s an expensive bath treat, but it’s full of hidden treats and so, well it’s not like you’re going to be buying them often, it’s just for Easter! Other Easter offerings include the Easter Egg Hunt soap, a colourful soap designed to look like an Easter Egg hunt, the Carrot Reusable Bubble Bar that smells blackurranty and fruity. There are also the Immaculate Eggceptions, in pink and yellow, Giant bath bombs with either a ballistic chick or bunny inside. 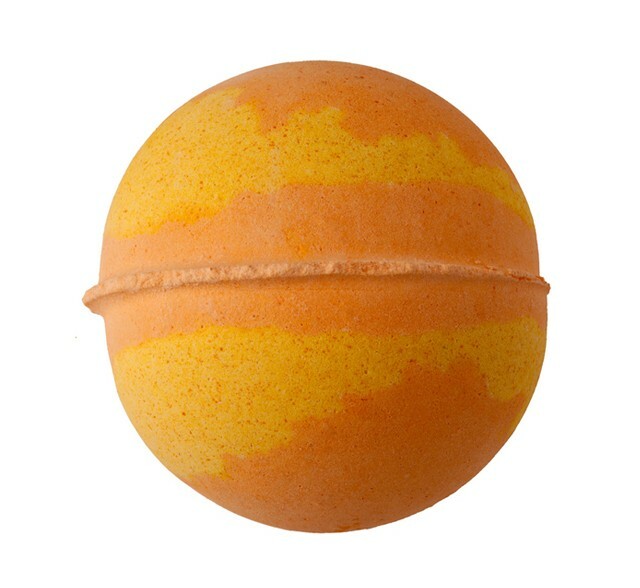 You can grab these Easter Treats either instore, or online at www.lush.co.uk. I was sent the Yellow Fun to try out and I did at least get to give it a quick sniff and a squish! Lush Fun is basically like playdough you can wash with! The Yellow one smells out of this world, it’s basically vanilla ice cream but I also think I can detect a bit of almond there too. So what is Fun? Well its whatever you want it to be… you can play with it, mould it and shape it, or you can make bubbles with it in your bath, you can wash your hair with it and you can use it as soap, just squish a little bit into your shower puff for maximum lather, I’m also told you can even wash your clothes! I love this concept, for me at £5 per bar I think it’s a little on the pricey side. I’m told a little goes a long way but my two kids demolished this in two baths…I suppose that only works out at 62p ish per child per bath… but I think you could make it go much further with a little supervision or if you’re using it yourself! I might buy one of these for myself and stash it away where the kids can’t find it… I’m fancying the pink one, with it’s candy scents or the blue one which is lavender and chamomile. Oh and I should mention that 10p from each sale of Fun goes to help children affected by the Fukushima disaster. Wonderful. It’s Friday night (at the time of writing), I’m just sat here catching up on some of my recorded telly, drinking coffee, playing stupid Facebook games and I’ve just realised I am stroking my hair like I have OCD….with a few more sniffs of my hair than is strictly sane looking…it occurred to me that I could be doing something more constructive, so here I am writing about the Lush shampoo I’m currently loving. Blousey is a new addition to Lush’s hair care range and is a banana based shampoo. Before I discuss it in more detail I just want to say I think Lush are really upping their game at the moment. For the first time in over a year I’ve just been on the site and filled a fantasy shopping basket. I can actually only afford to buy a couple of things but let me tell you, it’s been a long time since I’ve wanted to treat myself to a load of products. But anyway, I digress. 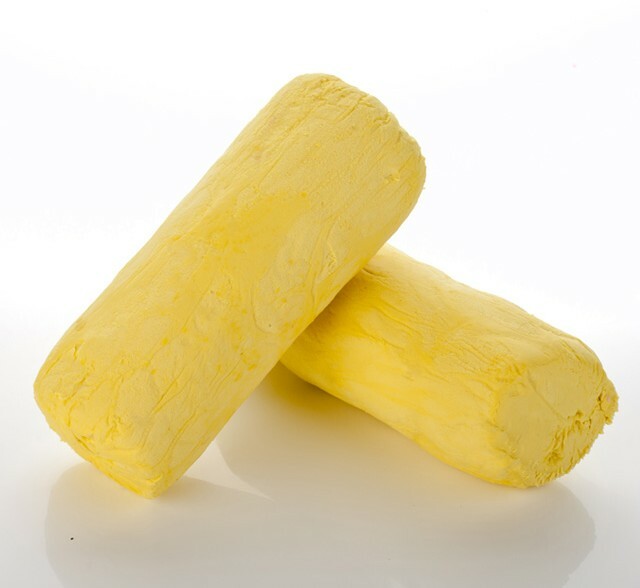 Blousey is, as I say, a banana based shampoo, for damaged, bleached or fragile hair and in particular, coloured hair. Lush and I don’t have a good relationship when it comes to to their shampoos and conditioners, one of the lovely lovely staff in my local store (hello Izzy!) has spent years making it her personal mission to find something that works for me, to no avail. Some of the products work for the first week or two, before slowly but surely turning my hair to straw. Blousey has not done this and is in fact my new shampoo love. It’s made with lots of bananas, cocoa butter and cupuacu butter (I don’t know what that is! ), those ingredients make it nice and moisturising. Then there’s cloves, star anise and pimento to add shine. And the scent… well it’s not banana as you might expect, it’s rose, blackcurrant, rosemary and juniperberry. The scent is fairly powerful, but it doesn’t linger for ages, but I do love it. So thank you Lush, I love this! Now you’ve just got to find me a conditioner! I’m pinning my hopes on Happy Happy Joy Joy or Big Solid Conditioner. This is a lovely lovely shampoo and as someone who doesn’t usually get on with Lush shampoo’s I can wholeheartedly recommend this one. I’ve been waiting for this collection for quite some time and at long last, on Saturday, it launched. I’ve really been dreading doing this post though because I’m not even sure where to start, but a trip to my local Lush on Tuesday really helped, so here goes. 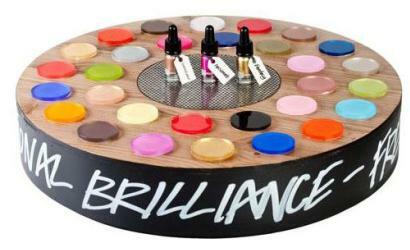 Emotional Brilliance is a range of liquid multi-use cosmetics, including liquid liners, lip colours and eye colours. They are all named after moods/states of mind and you can, should you wish to, pop into your local Lush, spin the wheel, pick three shades and have your colours read. Which I did today (with the lovely Bicky). I must say I really quite enjoyed the whole process, there was no hard sell, we weren’t pressured to spin the wheel, we were freely able to browse and swatch the colours and offered the choice to try the wheel should we want to. I think Bicky and I were both relieved about this as there was a fear that we might not be allowed to look at the products until we’d had our colours read. Anyway, I picked Feeling Secure, Dynamic and Believe. Feeling Secure was a stunning bright blue/purple liquid liner and represents exactly as you would imagine, feeling secure and having inner confidence. I also picked out Dynamic liquid liner, which was one I fell in love with in my swatching session, a beautiful metallic pale pinky peach, and represents the fact that I AM dynamic, or I was at that precise moment, it was such a gorgeous shade. The final shade Believe is a stunning red lip colour and represented that I believed in myself, again, at that moment. The manager of the store made it interesting and fun and well worth doing just for the novelty of it all. I’m loving the little glass bottles especially. I’ve heard other bloggers commenting on the fact that they suspect that the brushes won’t get out all the product when they get low, but in all honesty that doesn’t bother me, largely because I’ve never finished a product ever, except mascara, foundation, concealer and powder. But lets talk about the products I received to try out. The most stunning gold liner. I LOVE the stumpy little brush, I find it much easier to control and this performs really well indeed. Looks striking on, is amazingly pigmented, just amazing. Unfortunately, for the products I was sent, that’s the only one I have a positive comment about. The most stunning orange ever in its bottle. On my lips, a little too orange, but in this case it’s not the colour I have issue with, its the finish. I applied this, and it looked perfect, then I went downstairs, changed my daughters nappy, then reached for my camera to take the following photo, probably twenty minutes after application. Can you see how it’s started gravitating out… towards the edges of my lips? I swear to god that after an hour of wearing this shade, all the colour had gone from the middle and I was left looking like I ate spaghetti bolognaise for my breakfast, messily. It was most odd… it just gravitated outwards. So this one wasn’t for me. Finally I was sent Confident Lipstick. This one is horrific on me. On the plus side, it wears well, feels lovely, doesn’t gravitate to my lip line and is very comfortable. On the downside, on my lips it appears very blackened. I haven’t even taken a picture of this on me, I just had to take it off. This is so goth it’s not true, and I must say Confident is a good name for it, you’d have to be confident to wear it. So formula wise this was great which is the main thing. The store manager today was telling me how all the products can be used anywhere and I was thinking how like the Chanel Rouge Noir mascara this is so I’ve bought home a couple of disposable mascara wands to try this out on my lashes! It could work! Gold and Orange face…. from that bizarre angle that makes my nose look massive… you’d miss them if I started taking photos from a normal perspective! Neither of the above have put me off, although I suspect they might have done if I’d not gone into the store and had a play and seen all the other shades first hand. I’m thinking I’d like at the very least Dynamic Eyeliner, Focus eyeshadow oh a whole host of them, some of the lip colours were incredible. I must also give special mention to the supporting products, two of which were my favourites out of everything we were shown today. Firstly Feeling Younger, a lightly glowing base or highlighter. So soft, so subtle, so radiant. Use it under your eyes, on your brow bone, under your foundation, just a lovely product, and top that off with the amazing Emotional Brilliance a sheer ultra fine, light reflecting powder for all skin types, its just lovely. Well done Lush for just bringing some amazing colour and a whole new concept to the beauty world. It’s a lot of fun. My biggest problem is I have a HUGE wishlist. Oh and an extra special thanks to Lush Exeter for the best customer service like ever, (except maybe Waitrose cafe!). I’ve always had a love hate relationship with Lush Shampoos and Conditioners and have found that after a couple of weeks of regular use my hair turns to straw… it’s like my hair craves silicones or some other ingredient that Lush generally avoids…but the combination of the above two products used two or three times a week (and using my usual products for other washes) seems to be working like a charm on my hair at the moment. Lets have a look at them in more detail. Starting with Curly Wurly. This is a tub of thick coconut based paste. It’s like a pot of coconut rice pudding. The smell is incredible. And what’s more is that it’s one of those scents that really lingers in your hair which I really like, I love swishing my hair the next day and getting that waft of coconut. The shampoo is officially for curly hair, hence the name, I have wavy hair, there’s heaps of it so its thick in that sense, but the hair itself is actually very fine. My hair is also very fussy indeed. If it doesn’t like a product it really doesn’t like it. So we have a rich shampoo base that is FULL of dessicated coconut, then there’s cocoa butter, shea butter, jojoba oil, avocado butter and olive oil for deep conditioning and then theres linseed and egg for softness and papaya and lemon juice for shine. It’s truly a wonder. It’s not the easiest product to use, it takes a bit of working in but then produces a fantastic rich later and it takes a LOT of rinsing out. I find that I can’t quite get all of it out when I rinse out the shampoo but when I rinse out my conditioner whatever was left disappears with ease. My hair is considerably less fly away after use but not laden with product, it’s shiny and healthy looking and it smells divine. Definitely will be buying another pot when this is gone. It’s £9.50 for 220g but well worth it. Then we have Retread Conditioner. This time round we’ve got a seaweed and lanolin base, with soya milk for protein, then olive, jojoba and avocado oils for conditioning. Then there’s melon and yoghurt. This is a heavy duty conditioner and in conjunction with the Curly Wurly shampoo is absolutely heavenly for my hair. I don’t love the smell especially but it’s not horrible either and to be honest, once my hair is rinsed and dried, I only get the coconutty vanillary goodness of the shampoo so a bonus for me is that the scent isn’t over powering. I really love this and it will also be a product I will buy. It’s £9.50 for 245g. The only thing with this is that I do tend to use a lot in one go, not sure why, but I don’t even care. Love it. I very highly recommend both of these products. Available from https://www.lush.co.uk/. I’m a long time fan of Lush massage bars. Not only do I use them in massage, or should I say my husband uses them on me in massage but I also use them as moisturisers. Nothing beats them for dry shins I find! My bar of choice is the vanilla one, possibly called Vanillary… I don’t know and I can’t check because it doesn’t seem to be on the website…nooo! They’d better not have discontinued it! Anyway, for Valentines, as always, Lush have a little selection of new limited edition products, one of which is the divine Love Potion massage bar. Alas mine arrived a little battered. Fortunately it wasn’t rendered any the less useful. It’s just a shame the top fell off because it’s so cute! Anyway. You just warm these in your hands and then rub the oil where it needs to be. If I’m applying to my legs or something though I tend to just rub the bar up my legs and then rub that in. The scent of this one is Lush’s Love perfume. Apple blossom, orange root, lemongrass, cinnamon and a touch of carnation, you also can smell the cocoa butter base. I love this, in fact I prefer it to the Vanilla one, so all is not lost if the vanilla has been discontinued, my husband likes both but prefers the other. I get apple and cinnamon scent from this whereas my husband gets orange. It’s lovely! £5.95. There are other things available just for Valentines Day, a new perfume entitled 25,43. The unusual name is the amount of time taken to create the original perfume, 25 minutes and 43 seconds. Lime tonka accord with sweet warm hay notes and a fresh green citrus top. There’s a soap, Sweetheart Soap scented with jasmine, sandalwood, ylang ylang and a bit of benzoin and bergamot. There a couple of favourites back this year, the Leap Frog Bath Ballistic and the Magic Mushroom bubble bar. A few new gifts as well. If you’re looking for smelly valentines presents then do check out Lush. I’m going to go and sniff the perfume and soap I think.